It’s time to rewrite the language of Australian sport. We need to drop the unnecessary, divisive labels, and erase the gender bias that has become accepted and ingrained. Given that no sport is gender-exclusive, why do we continue to call it “women’s sport”? Especially now that, as a society, we recognise there are more than two genders. We should not settle for the default position that football, for example, is what's played by men and there is something else called “women’s football” that needs to be differentiated. The connotation, almost inevitably, is that the “women’s” version is the inferior brand. It need not be so. Sally Pearson is a hurdler, not a “women’s hurdler”. Just like the Campbell sisters are swimmers, Ellyse Perry is a cricketer, Sam Kerr a footballer and Steph Gilmore is a surfer. Yet there is still an important distinction to be made: the one between “women’s sport” and the involvement of women in sport. As a former CEO of Netball Australia, I’ve been fortunate to witness the huge advances over the past decade for what has traditionally been labelled “women’s sport”. We have made one of the biggest shifts in the participation of women in sport in this country in the past five years, while the tipping point at the elite level came with the recent growth of domestic professional leagues and the rising profiles of national teams. But let’s not be complacent because we still need still need to keep growing the role of women in sport. We need to create more opportunity for participation, for developing leaders and coaches, increasing the number and importance of female roles across all levels of sport. We must continue to build on the significant progress that has already been made. Sport Australia and the AIS are commencing a new Talent Program this year to specifically address the gross under-representation of women in high performance coaching and executive positions. In executive positions, women represent 22 per cent of Board Chairs and just 13 per cent of CEOs across more than 60 national sporting organisations that are funded by Sport Australia and the AIS. The picture is no better for female high performance coaches, who represent less than 15 per cent of coaches across Australia’s high performance system. In partnership with the Office for Women, Sport Australia continues to manage the Women Leaders in Sport program that has assisted the professional development of more than 24,000 women since 2002. As the current CEO of Sport Australia, I want to see the advancement of all sport. That means better opportunities for all Australians of every age, background, ability and gender. No more labels. Let’s just call it what it is: sport. But as part of a new era, let’s remove the labels. It was not so long ago that newspapers still published separate, token Women’s Sport columns. Written, of course, by women. Buried inside the sports section, far from the prestigious real estate of the back page, there might have been a brief netball item, leading into a few paragraphs on softball, followed by a cricket or golf snippet. Better still if the subjects were photogenic. Or posing provocatively. The rest of the sports coverage was reliably devoted to more important and not-so-secret business: men's. From this year, Sport Australia is no longer offer a media award for the Best Coverage of Women in Sport which has stood since 2002. Instead, we have introduced a category honouring the Best Depiction of Inclusive Sport. We remain committed to recognising and progressing women in the sports industry, but there is no better time for a statement that the world has moved on. 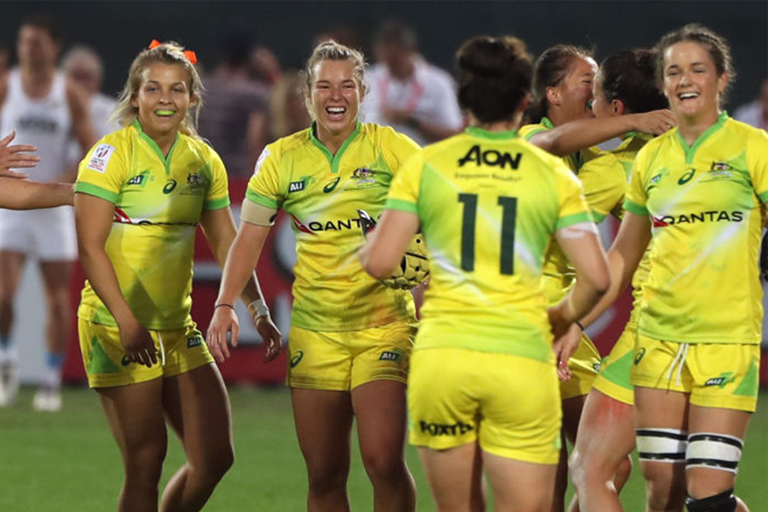 It’s saying we’re going to celebrate not just every woman who plays every sport, in the same way and as much as we do the men, but Australians of all genders. It was interesting to read Roger Federer’s answer last year when asked to name the greatest tennis player of all time. After acknowledging he deserved to be in the conversation, Federer surprised many with his answer: Serena Williams. Gender had not been specified in the question, but there was an assumption. There usually is. One of the most vocal feminists in tennis is another multiple grand slam champion, Andy Murray. One of the few men to hire a female coach, having controversially appointed Frenchwoman Amelie Mauresmo, Murray corrected a reporter who hailed him as the first player to win two Olympic tennis gold medals. “I think Venus and Serena have won about four each,” he said. A recent study by professors at Colombia and Stanford Universities in the US found that women benefited from downplaying gender in the workplace. It made them more confident and positive that they could overcome challenges. If we translate that into the sporting sphere and end the needless gender comparisons, we can celebrate that everyone is playing the same game and that athletes behave similarly and share many traits. Let’s end the great divide.